Choose from a wide selection of Spanish classes in New York, and find one that best fits your budget. 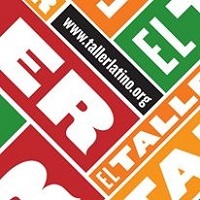 If you're looking to learn Spanish in NY, we are your number one source! 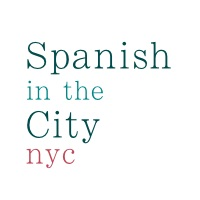 A Wide Variety of Spanish Lessons in New York! For over 40 years, the Queen Sofia Spanish Institute has offered top-quality Spanish language instruction in NY. All instructors are native Spanish speakers with extensive teaching experience, holding advanced degrees in a wide variety of fields. Group classes are limited to 12 students, providing its students with a more intimate atmosphere that encourages class participation. Students are encouraged to immerse themselves in Spanish and Latin-American culture outside of the classroom by engaging in field trips, readings, musical and dramatic performances, art exhibitions, and restaurant events all around NYC. Also available are private Spanish classes, corporate Spanish classes (for businesspeople), and Spanish classes for kids and teens. Here at Easy Espanol, learn Spanish in a way that is the best for you. They can make a special and tailored curriculum for you so that you can learn the language at your own pace. The instructors are native Spanish speakers and are really helpful to beginners and can further sharpen your fluency if you are in the intermediate level. This is one of the best Spanish classes in New York, you'd better be checkin' this one out! What Better Place to Learn Spanish than a Bookstore? 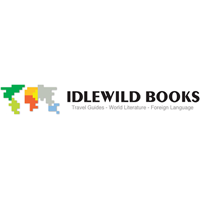 Idlewild Books is mainly a bookstore that caters to those who are wanderlusts by nature. They also offer Spanish classes in New York. The classes are great and not so crowded that there are only 14 students per class, making it easy for instructors to make sure that everyone really learns and is able to speak Spanish by the end of the entire class. So Spanish buffs out there, this one is for you! After Work Spanish Classes? Sign Up Now! 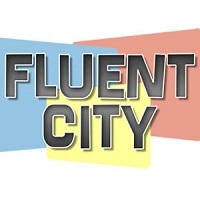 They say it's hard to teach old dogs new tricks, Fluent City does the contrary. They have fun Spanish classes in New York that are designed for adults. They do their classes so well that you can gain noticeable advancement in your Spanish in a short time. Their classes are scheduled to accommodate people who have a 9-5 type of schedule. Enroll now and do something that is actually fun! 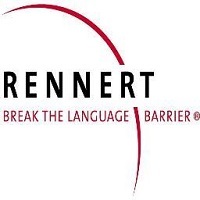 Break the Language Barrier at Rennert International Language School! At Rennert International Language School, they aim to teach people a new language in a technique they call "Communicative Approach". This is a method that focuses on students learning through conversations based on daily situations at work, home or in the streets. Classes are very fun, interactive, and not so crowded. They offer Spanish classes in New York that can be custom tailored to your schedule and needs, making the deal sweeter. ABC Languages offers Spanish classes in New York that are taught by instructors that make sure you get what came and paid for. They are supportive and will give you strict training at the same time. Classes are offered all throughout the week and they even have night classes for the working folks out there. 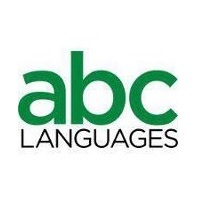 At ABC Languages they offer you an experience to learn something new and useful, and then have fun in the process. This Is The Best Place To Get Immersed On Spanish Culture! 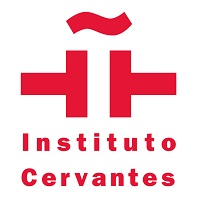 Instituto Cervantes is a place that is organized and managed by the Spanish government to promote their culture across the world. If you want to learn Spanish seriously, then this is where you should go. Their Spanish classes in New York are top notch, which is what you should expect. Aside from that, they have a vast library of media and resources that will help you further your knowledge and proficiency in Spanish. This Place is Recognized by The Daily News! At El Taller Latino Americano, you will surely have a fantastic experience while you learn your way to become a Spanish fluent. They offer not only a great Spanish class in New York, but rather they offer the company of a community that has the same passion like you. This is a nice way to immediately put what you have learned to use and really learn how to speak Spanish in the process. They've Got The Best Deal in the City! 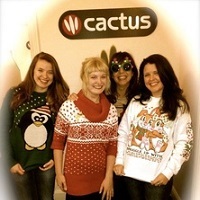 Cactus Language offers you a wide variety of options that can custom fit to your needs. They have lots of classes spread across the week. You will have access to their whole facility and get to be trained by helpful and very skilled language instructors. This Spanish class in New York is not only an excellent deal but a complete bargain out of what you are getting. Who Says Wine and Learning Spanish Doesn't Go Well? 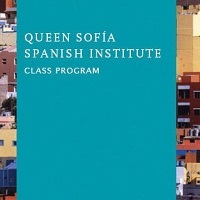 At Queen Sofia Spanish Institute, they believe that there is no better way to learn the language other than communicating with others. This Spanish class in New York will teach you all you need about the fundamentals and to further improve your skills in conversational Spanish, they hold events that promote the Hispanic cultures. When there is an event, there is wine. Queen Sofia Spanish Institute creates a wonderful place for eager learners of Spanish to practice what they have learned. From Classroom to the Open Environment in a Short Time! Spanish In The City has a single aim and that is to get you out of the classroom into the field using what you have learned inside their school. They believe that answering worksheets and completing exercises behind your computer desk will only get you so far when it comes to using Spanish in daily conversation. This Spanish class in New York has a different method but it surely is effective and a more fun way to learn Spanish! Learn Spanish Faster Than You Thought You Would! 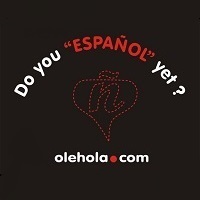 At Language Interaction- Olehola, you will really learn Spanish in a faster way than other Spanish classes in New York. By the end of each class, you'll become more fluent and know more Spanish words other than just tacos and burritos. So if you really want to dig deep, visit this wonderful place and start learning Spanish and have a bottle of Cerveza fresca at the end of the day! At Tribeca Language, You'll Get A Fantastic Learning Experience! How about speaking Spanish in complete sentences right from the very first lesson? Sounds good? Then come to Tribeca Language, where they use a method which they call "QTalk method" that immediately allows you to speak Spanish. The method stimulates parts of the brain we use for language acquisition and memory. This Spanish class in New York offers a quick and fantastic experience to every student! Would You Prefer Book Exercises or Rather Conversational Exercises? Most Spanish classes in New York offer you the traditional approach to teaching a language. 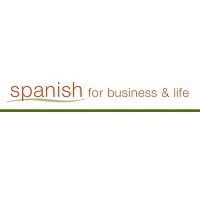 It all changes here at Spanish for Business & Life. As the name suggests, this place is not just about Spanish for those eager learners, but they also offer to improve your Spanish for business purposes. They have a great learning environment, friendly community and staff, and of course, great Spanish instructors. Speak, Read, and Listen in Spanish Right Away! 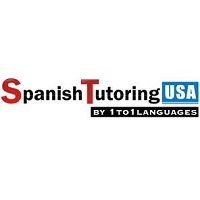 Spanish Tutoring USA has classes that will not let anyone out without speaking Spanish! Well, not really. But their teaching methods are so focused and effective that you will literally be able to speak in Spanish before the first class finishes! How cool is that? Spanish from Day One? There is no reason not to enroll yourself in this Spanish class in New York, if you want to learn the language for serious. 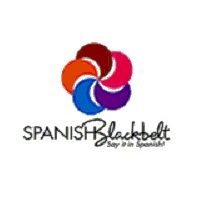 Spanish Blackbelt Brooklyn offers you unique benefits that no other Spanish class in New York does. They use proven teaching methodology that adapts to almost every need of each student. They focus on helping you develop practical conversational skills, which is what beginners really need rather than grammar. They have fast-paced training lessons making it much more exciting to attend each class and can make you a Spanish talker in a short amount of time. Folks! This Place Uses The Graf Method! Well, Graf Method is something that is a bit different than your normal method used in teaching Spanish. 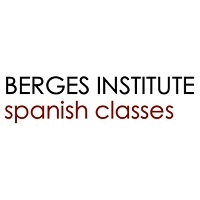 Berges Institute Spanish Classes designed this for adults and makes learning Spanish a shorter journey than using the traditional method. Other than their unique method, they have a learning facility with a cool atmosphere and of course, great instructors. All in all, learning Spanish is a breeze at this Spanish class in New York. Plus the weekend activities will put what you've learned to practice. They Offer Classes "On the Go" for The Busiest People! 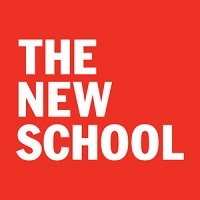 The New School offers a course specifically designed for people who can't stretch their weekdays for other activities. They have created the weekend immersion class to get you up and running with Spanish in a matter of short time. The classes will help you improve your fluency and be able to speak Spanish in the real world. This Spanish class in New York is offered all throughout the whole academic year. A Customized Approach in Teaching Spanish! 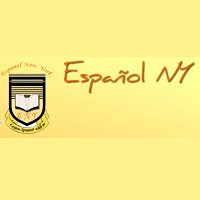 Instructors at Espanol NY have their own way of teaching Spanish to eager students of theirs. It's fun and easy to comprehend. There's also the friendly and encouraging community that will guide you along as well during your learning phase. Everything in this Spanish class in New York will make you learn Spanish in a reasonably shorter time than you would have thought you would. Visit them and let the fun begin! 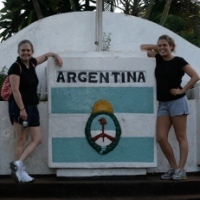 The business owner and the tutor herself of Andrea Private Spanish NYC, Andrea, has been in the business of teaching Spanish ever since she stepped foot into America back in 2001. You can take this Spanish class in New York wherever you like, be it in a coffee shop somewhere in Manhattan or even at your home as long as it is in reach. She has been teaching some high profile clients ranging from Wall Street to Rockefeller Center executives.